Capital American Financial Corporation: They cultivated a “true believer’’ mindset throughout the company and grew from $3 million to $500 million of revenues in the 15 years before the company was sold for $760 million in 1996. Southwest Airlines: As the United States’ most successful low-fare, high frequency, point-to-point carrier, year end financial results for 2011 marked Southwest’s 39th consecutive year of profitability. Pulte Holmes: Embarked on developing a high performance culture in 2000, and grew from $4.0 B in sales to $14.7B in sales in 5 years. Phillips Plastics Corporation: A Wisconsin based molding company has had an average return on equity of 23% over the last 40 years. The company grew from $40K in sales to $250M in sales over that period. Simmons Bedding Company: A 125 year old company, operating at a negative net income, was purchased by a PE group in 2003, who rolled out a plan to create a high performance culture. The company went from $500M in sales in 2001 to $800M in sales in 2005, while significantly increasing net income and significantly outperforming competitors. Why are these companies so different? Luck? Timing? No, they are so different because of the passion of the senior leadership around high performance, training, communications and effective implementation of their strategies. John Kaplan, a professor at Harvard recently reported that only 10% of strategies are effectively implemented. 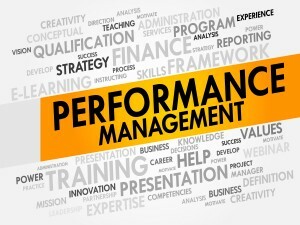 Every senior leader I speak with is intrigued with performance management. They want to be able to achieve these world class results, but don’t have a template for moving forward. Even with a template and great tools, moving to a high performance culture has been viewed as evolutionary, not revolutionary. With the right guidance and tools, companies can achieve high performance results in a much shorter period of time than in some of the examples. There are a large number of tools in the marketplace that purport to be “performance management” tools and organizations that implement them. How does a senior leadership evaluate some of the tools and organizations that claim to be able to do this? There are a few simple questions that can help point them in the right direction: About Providers. Does the provider have skilled implementers who have led large organizations during their career and understand what works and what doesn’t? Can the provider support the company worldwide? Are the implementing consultants capable of helping the organization refine its mission, vision, values and performance objectives? Do they understand how to help various departments and managers learn how to manage a high performance organization? Does the provider have other tools and workshops and programs that help maximize the benefit of the tool? Will they be there over the long haul? Is the tool cost effective? Software costs? Monthly fees? Long term contracts? Was the tool designed by business leaders for business leaders or is it a check the box activity for HR? Is the tool cloud based and real time? Does the tool provide stickiness so that managers and employees use it frequently? Is it simple to use with an interface that can be taught to every employee in a couple of minutes? Does it provide the ability for a manger and an employee to have frequent discussions around every objective they are being held accountable for? Is it flexible and scalable? Does it provide the ability to easily add additional features without great cost? Of course, when choosing a provider and a tool, there are many more questions. We at Group50, have the appropriate resources and a great tool that we use called Evaluate To Win. You can see a short video here. In one of the videos, you will also see some comments from Jack Welch, the former CEO of GE about performance management. Irrespective of what tools and organizations are available, the most important thing is to make the decision to investigate taking a step toward a high performance culture. This step is not going to be for everyone…. certainly not for leaders who don’t have passion about the vision and culture they want in their company and the energy to effectively implement their business strategies. If you have an interest in exploring performance management further, I would enjoy the opportunity to speak with you about the options available to your company. Having been a CEO and Chairman in several companies, my interest is in sharing with you what I have learned about performance management and strategic execution. Feel free request more information here, have one of your other senior leaders give me a call at (909) -949-9083 or send an email to jgitney@group50.com any time. About the author. Jim Gitney, CEO Group50. Mr. Gitney has spent his 30+ year career leading organizations in large and small companies such as GE, Black & Decker, Sunbeam, Rain Bird and others. He has worked with healthy and troubled companies with a focus on performance management. As a result, he has seen many different approaches to performance management. Group50 Consulting has developed a unique approach to performance management that takes a company through a process of identifying its core strategic and cultural objectives, cascades them throughout the organization and utilizes a new tool called Cascade, that significantly increase employee engagement around a company’s most important goals. For a free assessment and a discussion of how a company can create a high performance culture, you can contact Jim at (909) 949-9083 or via email at jgitney@group50.com any time.